Habitat and ecology: Fynbos, Succulent Karoo. 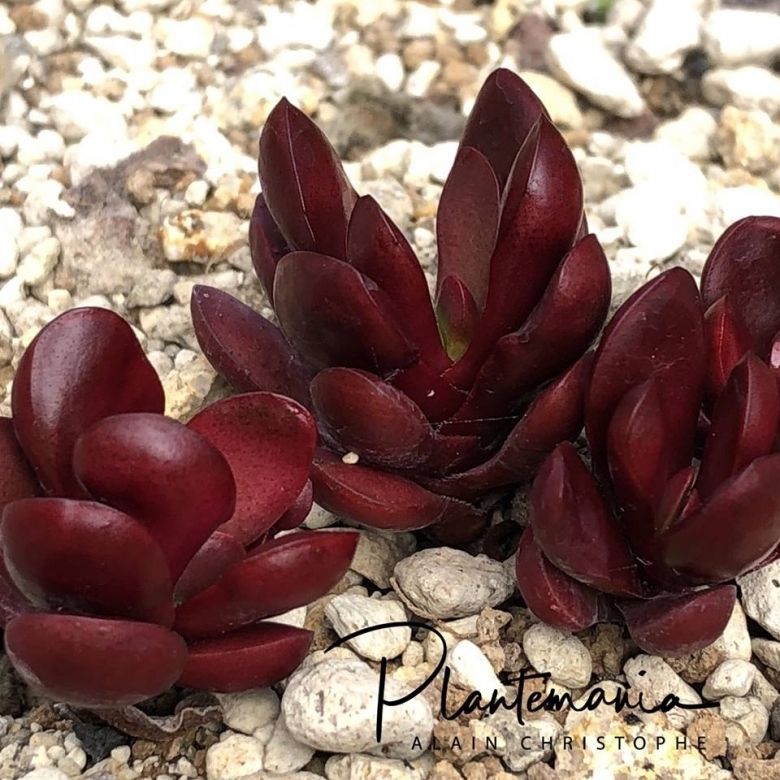 This species grows in in rock crevices or often on shallow soil on rocks, in gravel flats and mountains (usually on sandstone pavement or on quartzite). It flowers in spring (September, October). Crassula clavata is widespread and not declining. 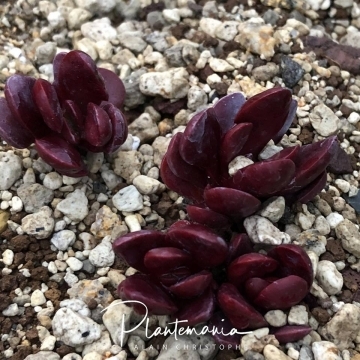 Description: Crassula clavata is a stem-less solitary or hardly offsetting succulent (with less than 3 branches in tufts or rarely much branched), to 5 cm tall (excluding the infloresce). Although this species has quite small flowers it has distinct deep purplish red recurved leaves that grows more or less flat on the ground. Branches: Fleshy to slightly woody, with old leaves not deciduous. Leaves: Rosulate, spreading to ascending, deep purplish red, rarely yellowish green or green, (15-)20-40(-60) mm long, (5-)7-11(-13) mm wide, linear-lanceolate, oblanceolate to obovate, flattened, biconvex, obtuse to rounded, recurved and more or less flat on the ground, glabrous, rarely with stout marginal cilia. Forms with long and with short leaves occurs in habitat. Inflorescence: Terminal ascending thyrses to 28 cm with many glomerate dichasia ( part-inflorescences). Peduncle 10-20(-30) cm long, glabrous or with fine hairs. Dichasia globose, to 12 mm in diameter. Flowers: Sepals fleshy, green to red, l,5-2.3(-2,5) mm long, oblong-triangular to tongue-shaped, ciliate, obtuse. Corolla tubular to almost cylindrical, white to cream. Petals panduriform fused basally, 2,5-3.5 mm long, tips with globose apical swelling and with membranous apex on inside. Stamens with yellow anthers. 4) Goldblatt, P. and Manning, J.C. 2000. “Cape Plants: A conspectus of the Cape Flora of South Africa”. Strelitzia 9. National Botanical Institute, Cape Town. 5) Raimondo, D., von Staden, L., Foden, W., Victor, J.E., Helme, N.A., Turner, R.C., Kamundi, D.A. and Manyama, P.A. 2009. “Red List of South African Plants”. Strelitzia 25. South African National Biodiversity Institute, Pretoria.